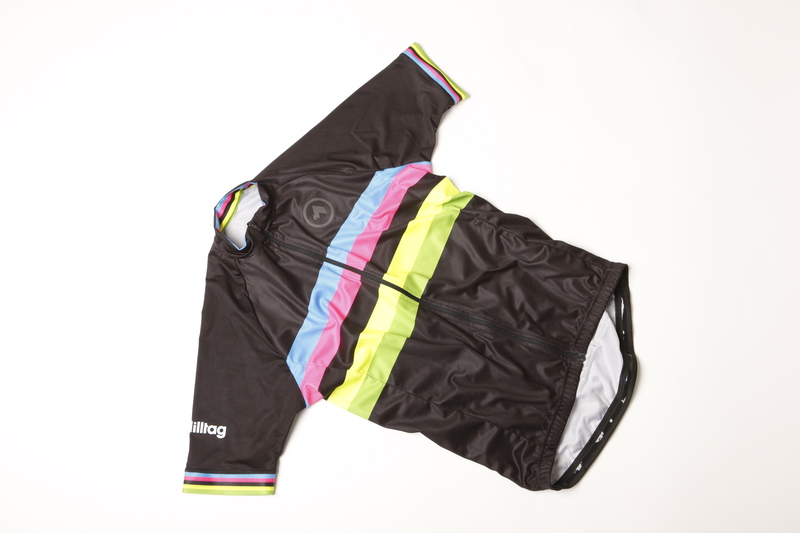 We recently featured Milltag’s Stripes jersey in our Christmas gift guide, and here we are reviewing the complete outfit, comprising of shorts, a jersey and arm warmers. 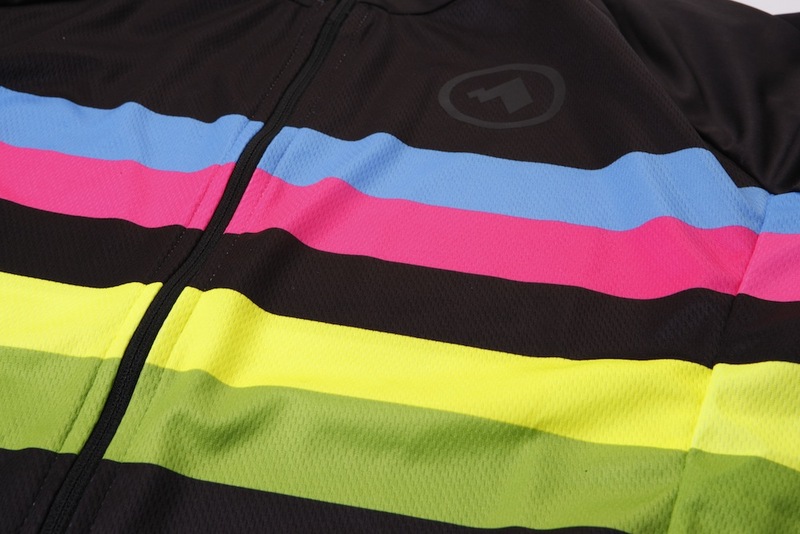 The colours and logos are bold and will definitely stand out. 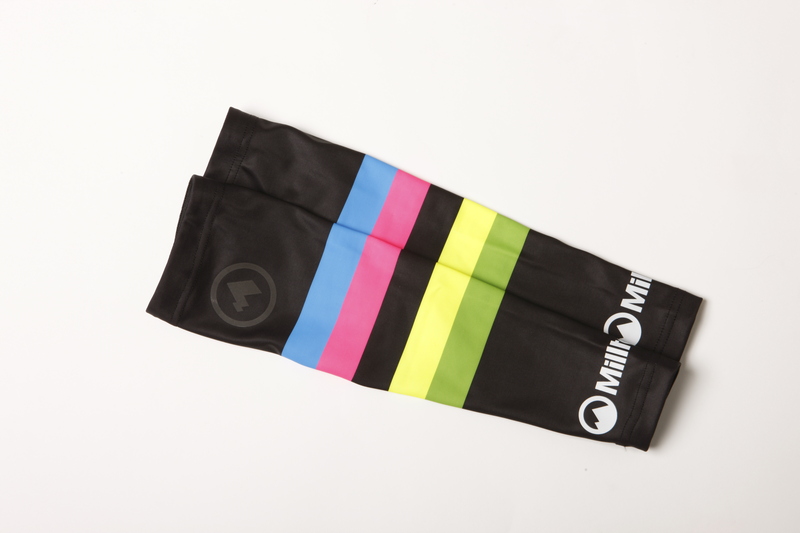 A twist on the classic rainbow stripes found on the World Champion’s jersey, the Milltag design is designed to help with visibility, using retina-blasting fluoro inks and reflective logos so riders can look cool but stay seen as the evenings grow longer. >>> Cyclists’ guide to high visibility clothing and accessories. 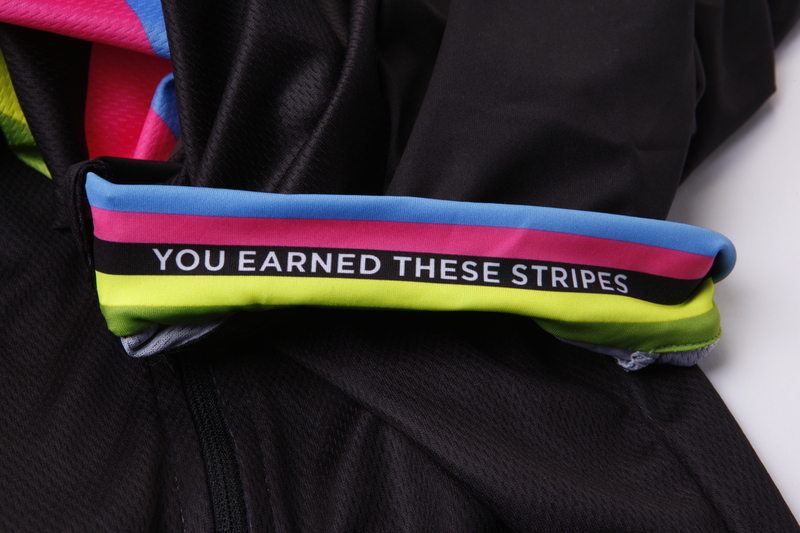 We like the idea and the variation on the World Champion stripes, and it’s refreshing to see kit that dares to be different from the plethora of block primary colours and black which dominate cycling clothing. When we wore it, the kit received mostly positive comments. The jersey features a bold design that received a popular comments during the test period. The jersey is a “club fit” that won’t suit many cyclists’ lean build, leaving too much material around the arms and shoulders. However, if you are shaped more like a normal person and not with the T-Rex arms of a cyclist, you may welcome the additional room. At £80 we would have liked to see a hidden zip that doesn’t break up the stripes on the chest. We found the shorts to be too high waisted, making ‘comfort breaks’ logistically difficult. In addition, we were not a fan of the material used for the straps and upper part of the bibs. This felt uncomfortable against our skin and became quite irritating on our lower back, as did the seam joining the mesh straps with the short. The chamois is decent, if not remarkable. 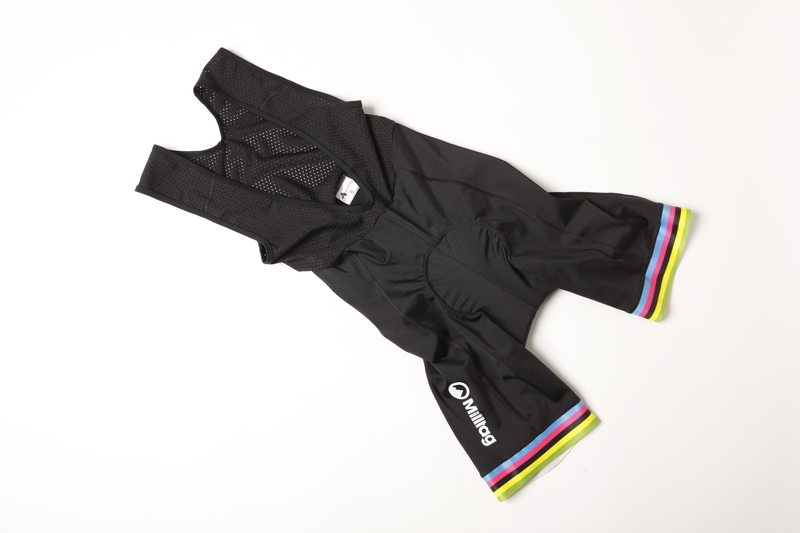 >>> Cycling bib shorts: 15 of the best. The arm warmers complete the outfit and we did like the overall look when it was all worn together. The armwarmers had a habit of slipping down our testers’ arms, but that may again be due to ergonomics designed around a “club fit” more than a “race fit”. Head over to the Milltag website for more info. If the kit were priced lower, we would be prepared to overlook certain details such as the lack of hidden zip, high-waisted shorts and irritating seams, but at £80 each we feel these flaws should be addressed. Colours are hugely subjective, but Milltag aesthetics are at least a welcome break from the norm.